Successful workshop: "IT outsourcing in the Corporate Midmarket"
In general, one might state that outsourcing essentially is the same for each organization. It is about competences that are sourced externally in the form of services. Especially in IT, where processes and standards like ITIL are very popular. But when we think a step further, this might not be so obvious. The particular Sourcing solution and relationship is largely dependent on the purpose, size and maturity of the customer. This question was the central theme of the event on October 8th, where SourcingExchange members gathered to learn from a Customer and a Supplier about the reality of "IT outsourcing in the mid-market". 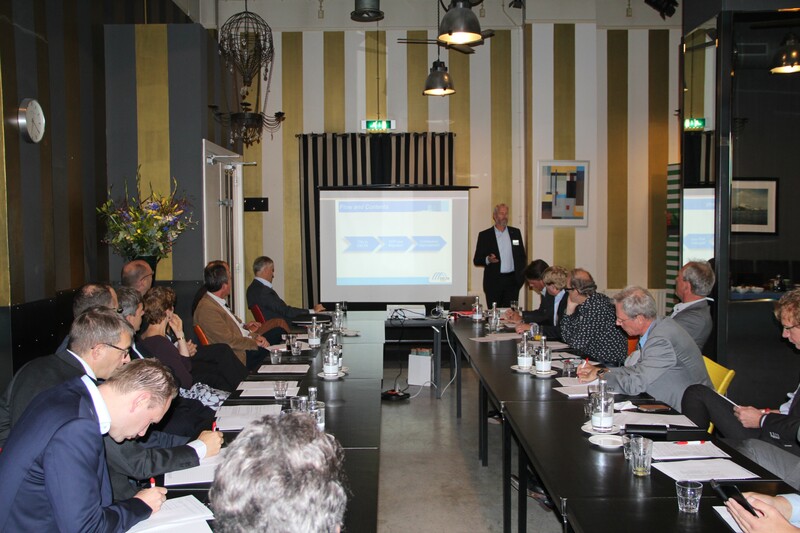 More than 25 members from SourcingExchange and the Sourcing Network gathered in Hotel New York in Rotterdam for this meeting to hear and discuss about different aspects of IT Outsourcing in the corporate mid-market. Participants brought a lot of knowledge about this topic to the table. Most attendees were sourcing professionals working in different sectors; a lot of them at boardroom-level. The opening presentation was given by Alexander Dortland and Gerwin Pol, founders of SourcingExchange. They briefly introduced SourcingExchange and welcomed the speakers and members. The first presentation was given by Addie Korsten, managing partner at the Sourcing Network, about the outcomes of the research by Tilburg University, which proved that Customers in the Mid-market are generally satisfied with their services provider. In the study however, it showed that deeper in the relationship, the customers were not so positive. The insights came later. Although personal relationships were highly valued, the actual performance of the supplier became clear. Promises on joint cost reduction were not always met. Instead of the size of the customer, the maturity in managing the sourcing relationship was the discriminator. And, the mid-sized organizations were mostly first or second generation outsourcers. As opposed to the large multinational corporations which more and more have a huge experience. Cegeka explained that providing IT services to organizations with the size of 1000 – 5000 employees takes a tailored approach but also a highly standardized delivery organization together with a strong customer focus. These seem contradicting, but Jan Willem van den Bos showed how this does work. He closely examines in an early stage which service would be most beneficial to the prospective customer together with the existing strengths of his organization. He will meticulously look for cases were he is sure he can set up a sound relationship and make a profit, and he does not devise from his strategy. Interesting enough, the presentation of the mid-market customer Delta Energy proved these statements. Delta is a second generation outsourcer that changed after the expiration of the contract from a large institutional service provider to a mid-size player. The first outsourcing contract was broad and covered all IT services. With the renewal of the contract, the need for far more flexibility and a close steering came up. Large change programs executed by the customer required that the sourcing services needed to be broken up into lots for specialized providers. An unexpected difficulty was the exit plan and the transition to the new supplier. As the existing supplier was a large corporate with strict rules and standards laid down in a strong contract, the formal hand over of the service turned out to be cumbersome. With the help of an independent consultant the gaps were bridged. One of the topics of the research was about the hard and soft control factors of IT outsourcing in the corporate midmarket. SE members should investigate the concept of forming a ‘shared service center for outsourcing management’. Especially to support clients that do have a limited organization and that are not able to have all the necessary competences for outsourcing governance. In that way they can gain instant maturity by using a service of Sourcing Exchange.